Ralph Morrison, violin, a Boston native, was immersed in chamber music from the womb. He earned a BA in Comparative Literature at Columbia University before leaving New York for the wilds of Los Angeles, where he has resided for thirty-one years, performing on countless hundreds of film scores, as well as for television, commercials, and some of the classics of contemporary recording artists. 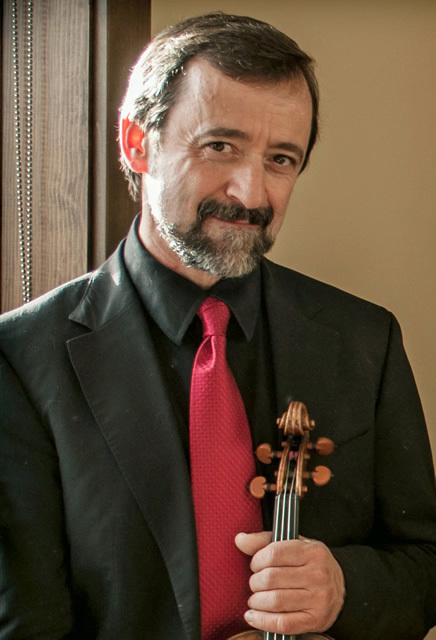 Concertmaster of the Los Angeles Chamber Orchestra, under both Iona Brown and Christoph Perick, he also served many years as concertmaster of the Los Angeles Music Center Opera Orchestra.